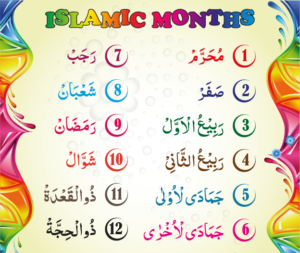 Fourth month of the Islamic Calendar. Meaning: The second month of spring. 1. Battle of Furu’ from Buhraan took place in 3 A.H Sariyyah-Battle in which the Holy Prophet did not take part in, instead he consigned one of his Companions as the colonel. The consigned: Sariyyah Ali Ibn Abi Talib in the 9th Hijri. Sariyyah-Ibn Alqamah Mujaazziz Mudlejee. 2. Hadrat Khwaja Nizamuddin- 18th Rabi-ul-Akhir: 725 Hijri. Hadrat Sheikh Abdul Qadir Jilanee- 11th Rabi-ul-akhir: 561 Hijri passed away at the age of 90.